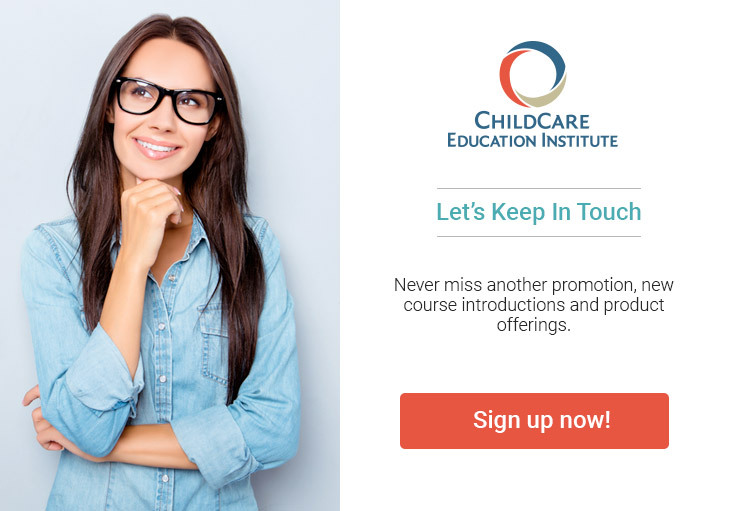 Courses offered by ChildCare Education Institute (CCEI) provide International Association for Continuing Education and Training (IACET) Continuing Education Units (CEUs) and as such, are accepted by the Massachusetts Department of Early Education and Care to meet annual in-service training requirements. Learn More Here Now! Courses offered by ChildCare Education Institute (CCEI) provide International Association for Continuing Education and Training (IACET) Continuing Education Units (CEUs) and as such, are accepted by the Massachusetts Department of Early Education and Care to meet annual in-service training requirements. For a list of CCEI courses correlating to the Massachusetts Core Competencies, click here. CCEI’s Infant and Toddler Certificate program of study has been approved to meet the Massachusetts lead teacher certification requirement for infant and toddlers. Please note: CCEI’s Infant and Toddler Certificate is the only training certificate accepted for certification in Massachusetts. For additional information regarding the acceptance of CCEI’s coursework in Massachusetts, contact the Department of Early Education and Care at 617.988.6600.